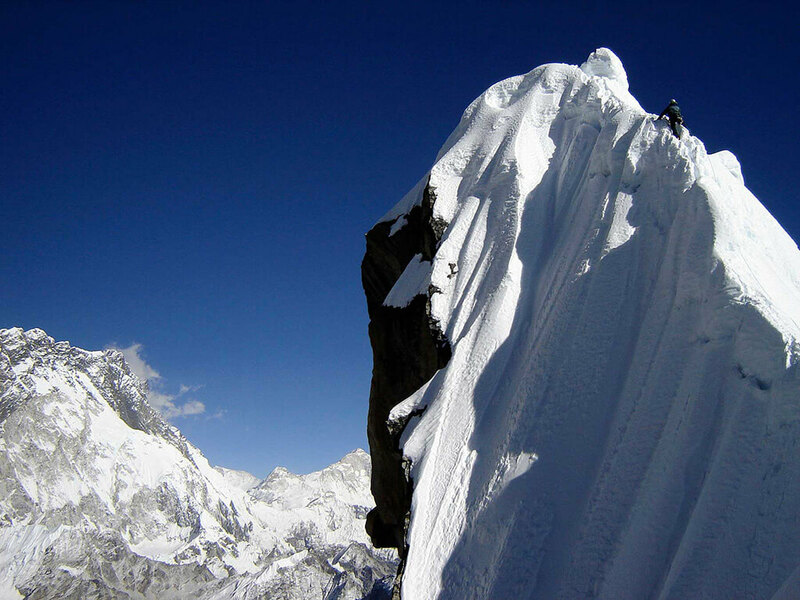 There exist two distinct summits to Lobuche peak: Lobuche east ( 6119m/ 20,075ft ) and Lobuche west ( 6145m/ 20161ft ). 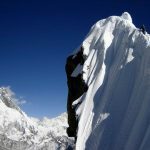 Although they are connected by a continuous ridge there is a sharp gap and a considerable distance between them. 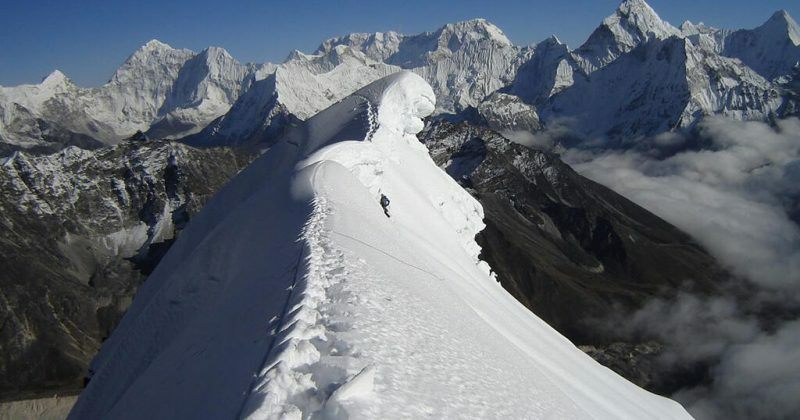 The trekking peak permit is for the east peak, whilst Lobuche west, well seen at the head of the Lobuche glacier, requires and expedition permit. 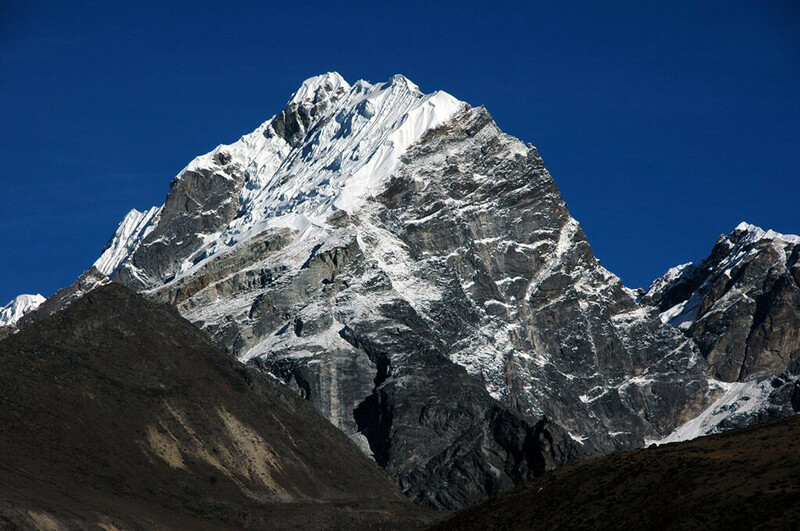 Lobuche is also spelt Lobuche on some maps. 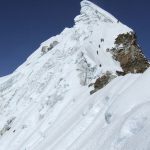 Lobuche peak is an attractive summit, offering a variety of existing routes and wide scope for new lines. 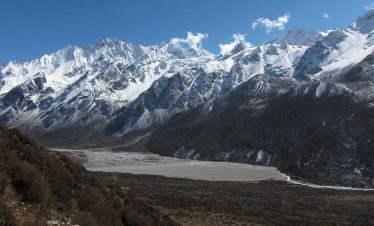 Seen from near Pheriche, the dark triangle of its rocky east face rises above the moraines of the Khumbu Glacier to and icy skyline. 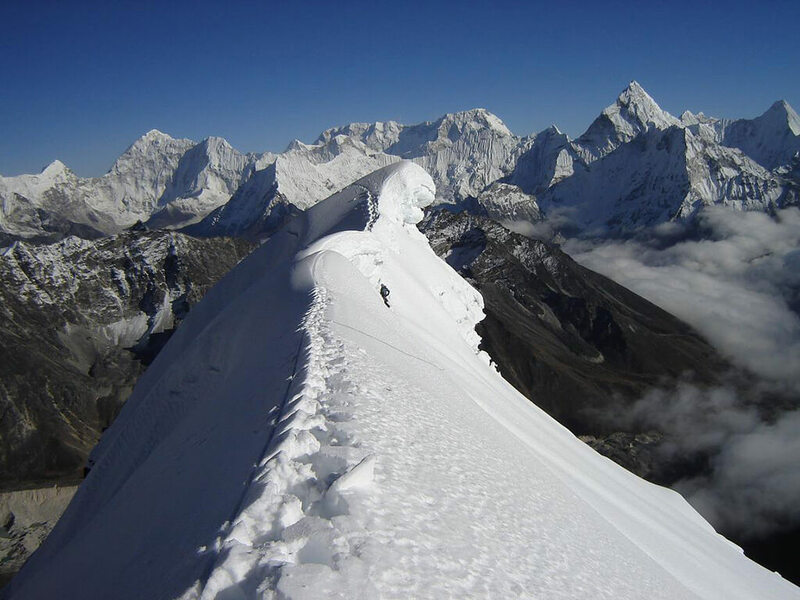 This skyline forms the south ridges, the junction of the east faces with the glaciated south west face and the line of the normal route of ascent. This in turn leads to the summit ridge running north west from the top of the east faces through several small summit to the east peak. Day 02:Trek Phakding to Namche (3,440m) (5-6 hrs). Camp. Day 03:Rest day at Namche for acclimatization. Day 04:Trek Namche to Tengboche (3,860m) (5 hrs). Camp. Day 05:Trek Tengboche to Pheriche (4,312m) (5-6 hrs). Camp. 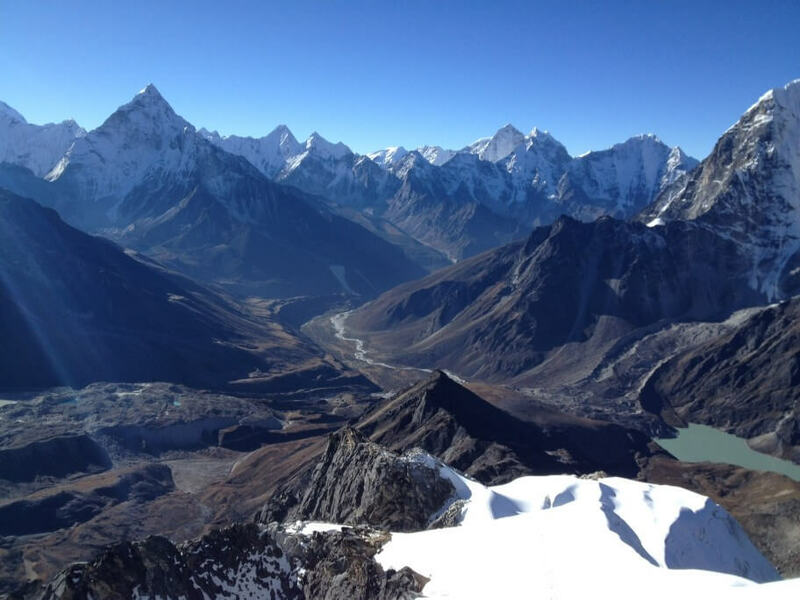 Day 06:Trek Pheriche to Lobuche (4,920m) (4-5 hrs). Camp. 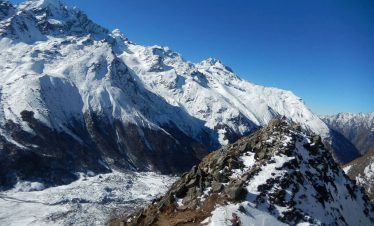 Day 07:Trek Lobuche to Gorakshep (5,140m) (4 hrs). Camp. 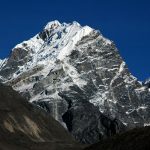 Day 08:Trek to Lobuche Base Camp. 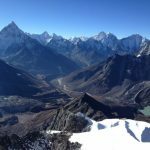 Day 09:Trek to Lobuche High Camp. 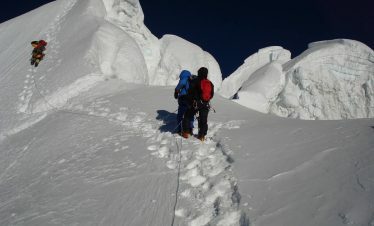 Day 10:Summit the Lobuche Peak (6,119m / 20,075 ft). Return back to Base Camp. 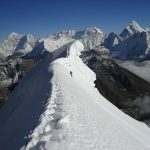 Day 11:Trek back to Lobuche (4,920m) (5-6 hrs). Camp. 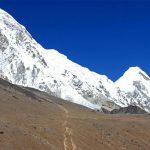 Day 12:Trek to Pheriche (4,410m) (5 hrs). Camp. 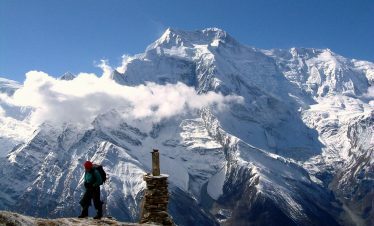 Day 13:Trek Pheriche to Tengboche (3,860m) (4 hrs). Camp. Day 14:Trek Tengboche to Namche (3,440m) (3 hrs). Camp. Day 15:Trek Namche to Lukla (2,840m) (5-6 hrs). Camp. Day 16:Flight: Lukla (2,840m) – Kathmandu (1,310m). All your pick up and drop from the airport to Airport. 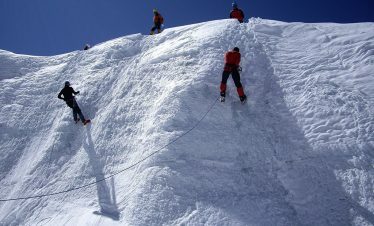 All your climbing Arrangment such as food, guide, sherpa, porter, kitchen equpment. All your permit and ducument for the climbing. Tea houe accmodation during the trekking and camping accmodation for the climbing. All your transportation ( fligth/ land). All your domestic airport tax. All your part in Kathmandu. international airfare and visa fee. Accmodation and meals in Kathmandu. Following is Equipment list that we advise you to buy in Kathmandu or bring yourself from your home.